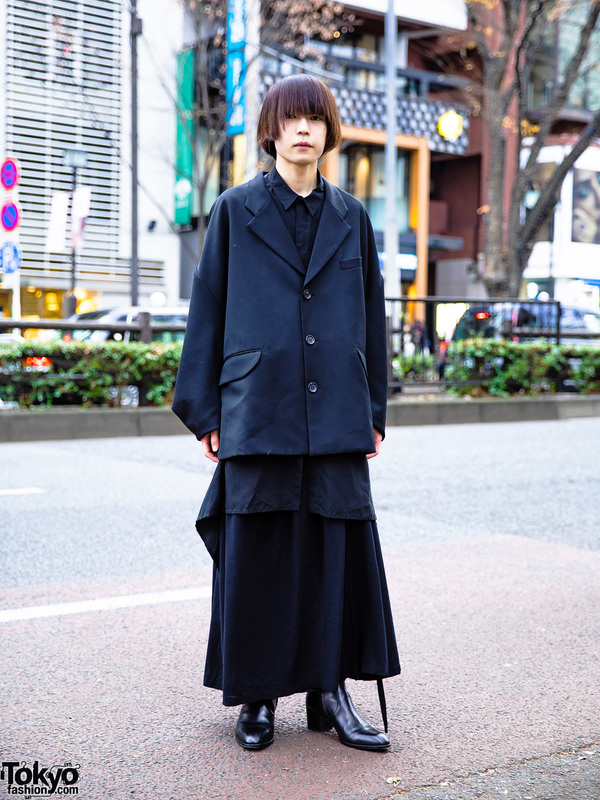 Harajuku student in all black minimalist style with cocoon coat, long shirt with asymmetrical hem, long skirt and heeled boots. 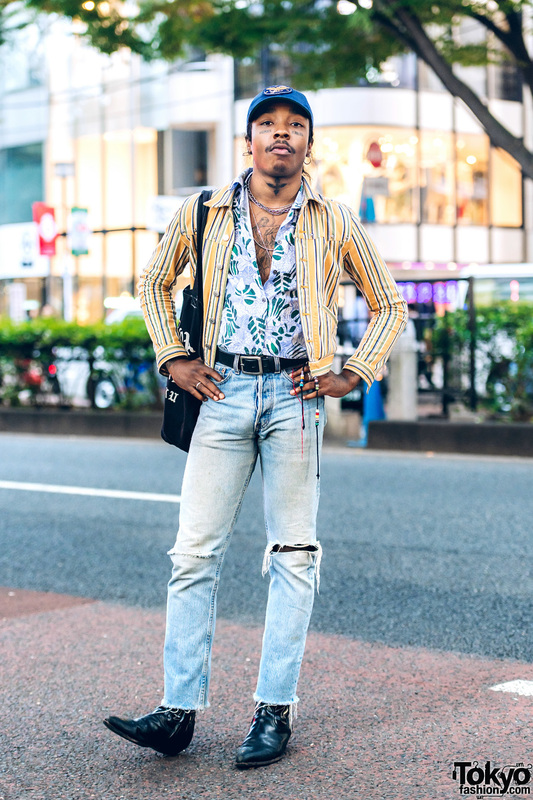 Harajuku guy with tattoos wearing mixed prints and faded denim ripped jeans. The Symbolic Tokyo fashion designer in edgy monochrome street fashion with chain fringe jacket, white t-shirt, skinny pants, heeled boots and accessories. 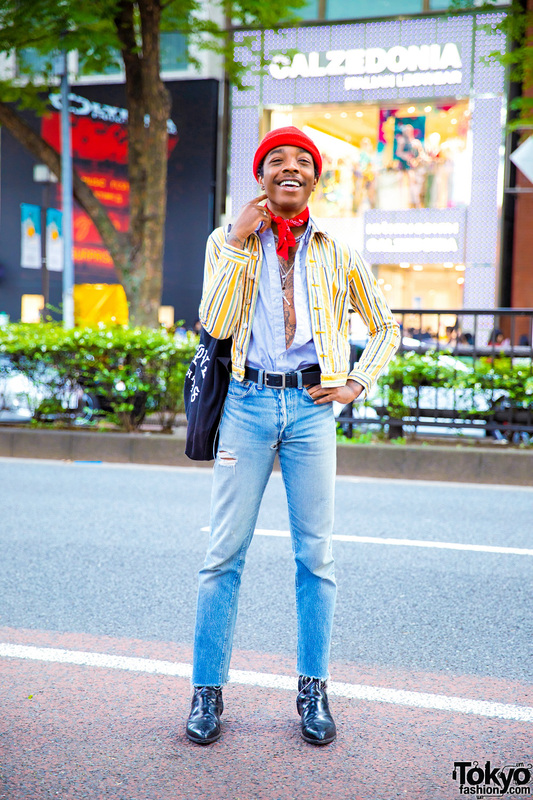 Tokyo-based fashion designer wearing layered tops, vintage denim jeans, and black boots in Harajuku. Japanese students on the street in Harajuku wearing a sleeveless sequin top, sequin dress, platform heeled booties, and statement jewelry. 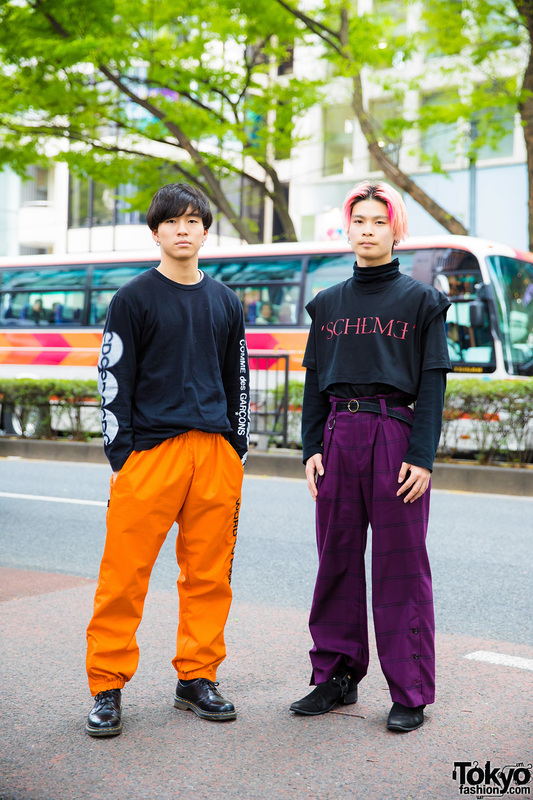 Harajuku guys sporting black casual streetwear outfits while out for a walk on the street. 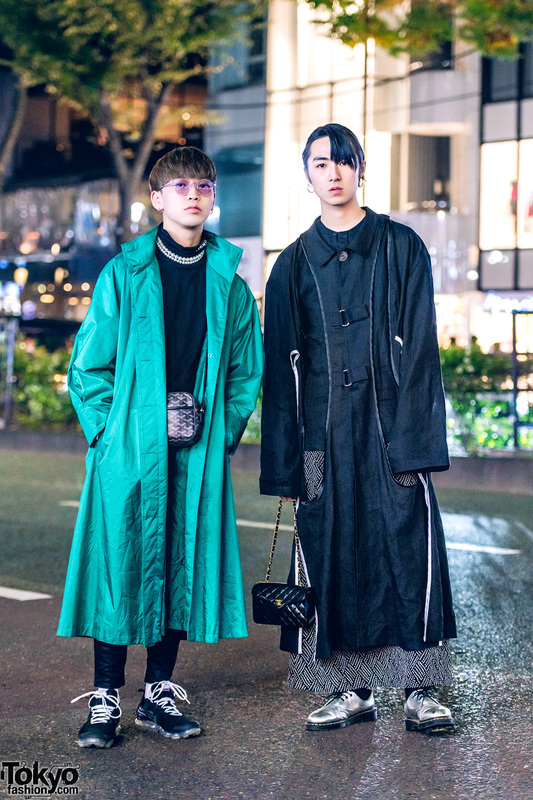 Harajuku guys in black and red street styles.